Overparenting. The term carries a whiff of judgement, as if the line between “just right” and “too much” parenting were obvious. But it’s not that simple, particularly because many of us live in a culture that pushes more and more involvement…sometimes more than even we feel is okay. 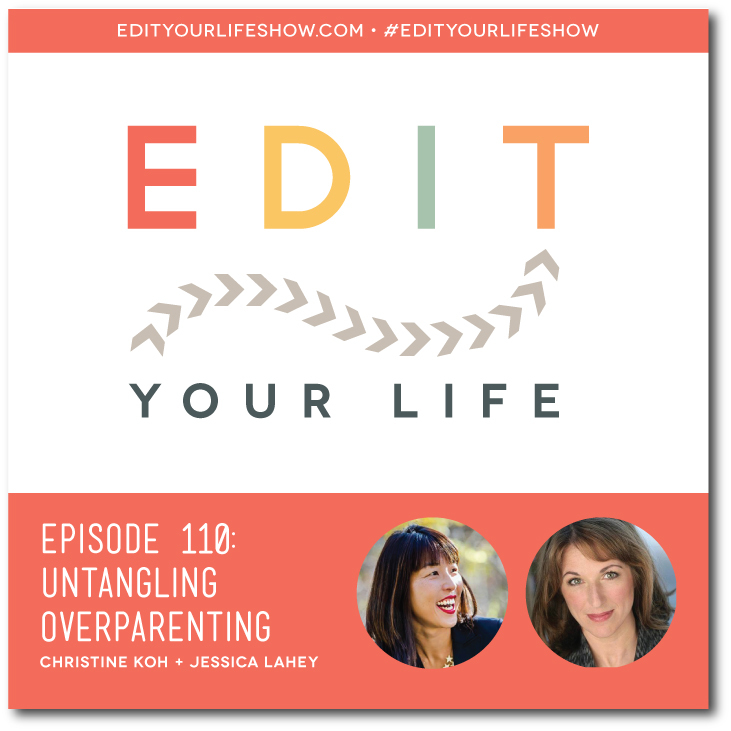 In Episode 110 of Edit Your Life, Christine interviews educator Jessica Lahey, author of The Gift of Failure. They have a wide-ranging conversation about overparenting that provides both grace and practical advice. Christine and Jess talk about letting go of control, how ignoring the grade portal actually encourages learning, and how lovingly stepping back doesn’t have to feel like walking away. While Jess’s tips are directly relevant to parents of school-aged kids, we hope all parents will listen to her wise, compassionate perspective. What is one area in which you want your kids to become more independent? Join the discussion on the Edit Your Life Facebook page (look for the Question Of The Week post pinned to the top of the page).